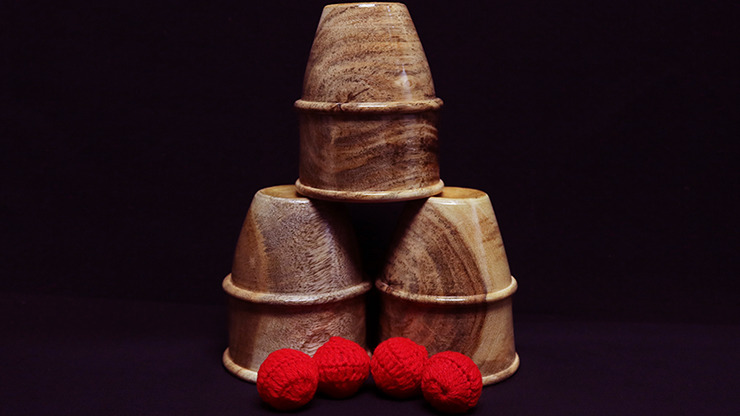 Time to upgrade your Cups and Balls routine with a little elegance and class with an Exotic Wood Cups and Balls. These beautiful cups are made of Bavada Wood and polished to a warm shine. Your audience is sure to take note of this exquisite prop, but still won't suspect the magic it can perform. Class up your act and buy a set today! Cups weigh 3 1/2 ounces. Dimensions are 3.5" H by 3" W. Each set comes with three cups and four crocheted balls.